On 17 March 1960, Jean Tinguely staged his infamous sculpture-performance Homage to New York in the garden of the Museum of Modern Art. The piece destroyed itself in only 27 minutes, a source of lifetime fascination and inspiration for British artist Michael Landy. Best known for his 2001 Break Down project during which he destroyed the totality of his possessions in an Oxford Street store in London, Landy has decided to pay his own homage to Tinguely's piece. 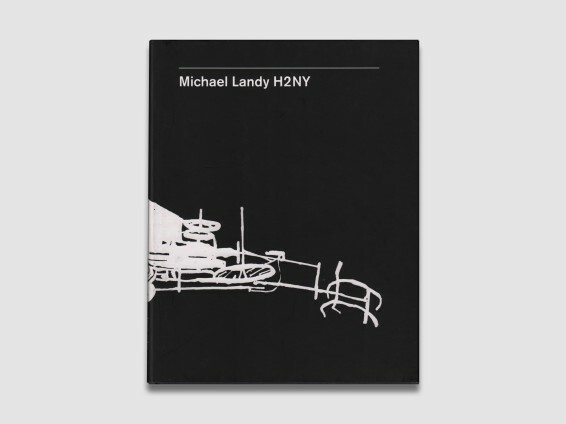 This book reproduces 40 of Landy's studies on paper for the re-enactment of the performance. The drawings are inspired by the photographs, films and remains of Homage to New York in a wide variety of sizes and media. In the accompanying text, Barry Schwabsky has linked both projects and artists in an essay titled 'A Rousing Cheer for the Dying Monster' and Clavin Tomkins' account of the 1960 piece originally published in a 1962 edition of The New Yorker is republished alongside David Ghar's photographs of the performance.